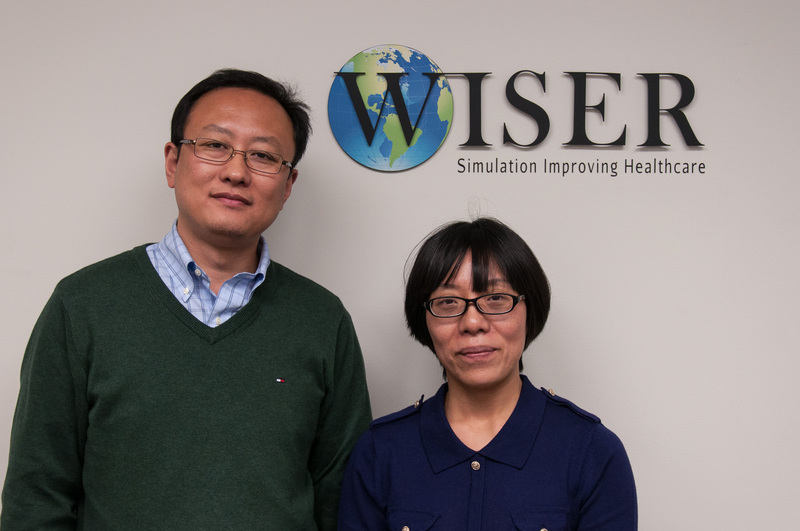 Dr. Xiaohong Tang and Dr. Yi Zhao are the newest visiting Fellows to join WISER. WISER hopes to equip both Fellows with the necessary tools, experience and knowledge to expand their simulation endeavors. Dr. Tang is the Vice-Director of the Clinical Sills Training Center and a professor at The Third Xiangya Hospital of Central South University in China. Dr. Tang would like to bring skills learned back to her institution and improve the teaching of medical students. In addition, she would like to gain an understanding of the design and infrastructure of WISER and facility management as it relates to her role as the vice-director of clinical skill training at her simulation center. She also has a strong interest in emergency medicine courses as well as Advanced Cardiac Life Support (ACLS) and Basic Life Support (BLS). Dr. Yi Zhao is the Director and Chief Surgeon at The First Affiliated Hospital of Nanjing Medical University in Nanjing, China. Dr. Zhao is working to establish a clinical skills training center and clinical simulation training center at Nanjing Medical University. He would like to develop an understanding of the administrative, operational and information technology processes necessary to operate a multidisciplinary simulation center between a University and healthcare system. Welcome to WISER Dr. Tang and Dr. Zhao!